Dr. J. David Edwards always appreciates feedback from his valued patients. To date, we’re thrilled to have collected 38 reviews with an average rating of 4.97 out of 5 stars. Please read what others are saying about Dr. J. Edwards below, and as always, we would love to collect your feedback. Dr. Edwards is truly an expert and I always trust his judgement and professional opinion. His staff is wonderful, very nice and always helpful. I can't say enough good things about Dr. Edwards, his practice and office. Highly recommend! Dr. Edwards is an incredibly professional practitioner. He is quick to respond to any inquiries or concerns. Dr. Edwards employs kind and responsive office staff, I always feel comfortable coming into the office. Dr.Edwards is always on time with appointments and very thorough and courteous. His staff is helpful and knowledgeable with insurance issues. Dr Edwards and his team, Debbie and Gaby, are like family. They always make you comfortable and relaxed and are ON TIME with appointments, something I rarely see in the world of medicine. They are terrific health care providers, up to speed on new procedures, birth control and personal care. I recommend the practice to all of my friends. You will be lucky to have such spectacular service in this day and age. He is very informative and makes you feel as comfortable as you can be. I will continue to recommend him to my friends and colleagues. Great Dr and excellent team . I came both time from Dubai and delivered my first son and my twins with Dr Edwards. He insisted on a vaginal delivery for the twins which very few doctors are willing to do and my experience was great. He stayed with me from the time i was given the inductions until i delivered. Fantastic OBGYN with a great office staff. I love that he's the only Dr. in the office; I had a great experience before pregnancy, during pregnancy and after with Dr. Edwards. He gets really excited about delivery babies and seems to really love his job. I felt totally comfortable in the care that Dr. Edwards provided. He exudes confidence and his many years of experience clearly showed. Great doctor & office. I have been a patient since 2008 and I will never change. Best OBGYN in town! Dr. Edwards has been my OBGYN for the last 10 years...even after I moved to San Diego, I drove 2+ hours back to LA to see him because I trust him and his staff so much. It has been a blessing to have found a doctor I can truly trust. His staff has been so wonderful!! They're a great team!! Thank you! The doctor and staff were very professional and friendly. The doctor addressed my concerns and went the extra mile to get my issues resolved quickly by making calls to a surgeon in the same building and ordering lab work to be done quickly so I didn't have to wait long and wonder if I was okay. I will definitely recommend Dr. J. Edwards to others. 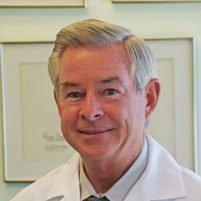 Dr. Edwards has been my OB/GYN since the mid 80's. He was recommended to me years ago by another physician who admired his technical skill. His delivered 3 of my children. He is always attentive and caring. I have been very satisfied with his care. Dr. Edwards is always thorough, kind and competent. It is refreshing to go to a provider that gives you his full attention. He not only explains things, he does it in a way that everyone can understand. More than a great experience! Dr. Edwards is an amazing person and practitioner. He is an experienced and seasoned OB/GYN I would highly recommend. He guided me through my pregnancy and was very knowledgeable and reassuring every step of the way. The staff is also very friendly and responsive. I rate Dr. Edwards as one of the best doctors I have ever had. He is extremely knowledgeable and experienced and a great listener. I have been very anxious at times due to my GYN health concerns, and he always sets my mind at ease and makes me feel like he is doing everything possible to help me get well. He also seems to really love his job which is terrific. I love the staff at Dr. Edwards office. They are very patient and kind on the phone as well as in person. I have called a number of times and they are consistently kind and responsive to my needs. Love Dr. Edwards and his whole team of nurses—he's crazy prompt, extremely patient, and very wise and reassuring. My whole pregnancy and delivery was very low-key and low-stress, which I credit to him (it wasn't perfect, but he is so calm and competent it seemed pretty perfect to all concerned). Love him and his office..........started going to Dr. Edwards when he had dark black hair I was the only one in the lobby for decades not pregnant.........when I lost my insurance and couldn't continue going to him I was so sorry. But for anyone looking for a wonderful OBGYN and wonderful person............go to Dr. Edwards.